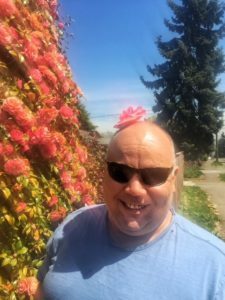 Brian Linder Smith, age 49, passed away on January 2, 2019 at his home in Renton with his loving wife, Katie Kent, at his side. He was born on April 4, 1969, in Topeka, Kansas. At age 5 his family moved to Oregon. He attended schools in Myrtle Creek, Eugene and Bend. In 1989, he moved with his mother to the Seattle area where he made his home for the past 29 years. Brian’s working career was spent in all phases of home construction and in his own business doing custom remodeling. It also included several years doing plant and machine maintenance for a manufacturer of radiation-shielding glass windows. He traveled across the U.S., Italy and Japan installing these windows in nuclear plants and research laboratories. He spent the last decade of his career supervising maintenance of apartment buildings scattered across greater Seattle. Brian was well known for the pride he took in high quality work, and his expectation that others would meet his high standards. His colleagues and team members knew, and often noted, that he had their backs – and expected nothing less from them. Brian grew up hunting small game, shooting and fishing. Fishing of any kind – from small pond to stream to ocean – was a lifelong passion. In the winter of 2006, Brian met his other great passion, Katie Kent, a woman he often described as his “best friend,” “the funniest woman I have ever known,” and “the smartest and most loving human in my life.” He and Katie celebrated their time together in the outdoors camping, hiking, riding motorcycles. They enjoyed the Seahawks, football pools, cards and casino games, telling and retelling jokes and funny stories, and boundless laughter. On July 9, 2017, they privately married after a family float-trip adventure down the Yakima River near Cle Elum. Four weeks later, on August 12, they made their vows in a joyful celebration before their friends and relatives at Anderson’s Bambooland, near Monroe, along the Skykomish River. Brian is survived by his wife Katie Kent of Renton, WA, mother Kay Hrobak (Joe) of Silver City, NM, sister Mundi Smith of Tukwila, WA, father Ed Smith of Baltimore, MD, sister-in-law Arcelia Kent, nephew Jonas Kielhorn, and mother-in-law Diane R. Huckabay (Jim) all of Ellensburg, WA. A memorial service will be held at Des Moines Beach Park Event Center, Founders Lodge, on March 31, 2019, at 22030 Cliff Ave South, Des Moines, WA 98198, from 3:00 to 5:30 p.m.
A special thanks to Seattle Cancer Care Alliance, Evergreen Hospice and nurses everywhere. In lieu of flowers, memorial gifts may be made to National Fish and Wildlife Foundation www.nfwf.org or Washington State Parks www.givenow.waparks.org.